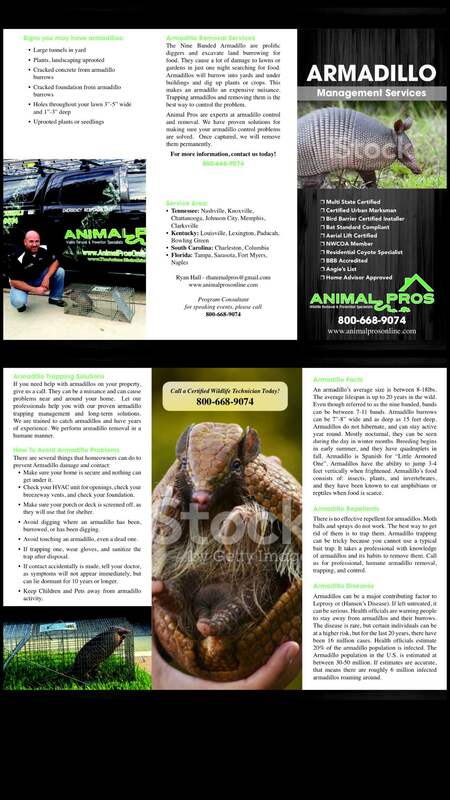 Animal Pros commercial wildlife services in Greater Nashville and Middle Tennessee specialize in business, office, facility, and warehouse animal problems. 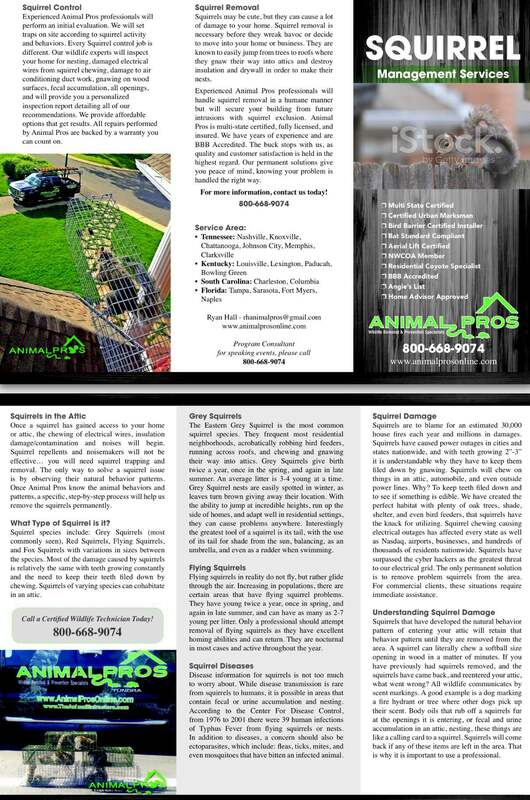 Defend your company’s reputable name and revenue by calling Animal Pros to inspect your place of business. We can take on all your commercial needs from supermarkets, restaurants, retail, hotels, industrial, municipalities, and office buildings. We can help you to protect the reputation and insurance costs of your company by removing wildlife that could affect your employees or your customers. Animals in your building can create a unsafe and hazardous work environment. Let us take care of your commercial wildlife removal needs permanently. If your business is in need of wildlife trapping and removal, or animal exclusion we can help. 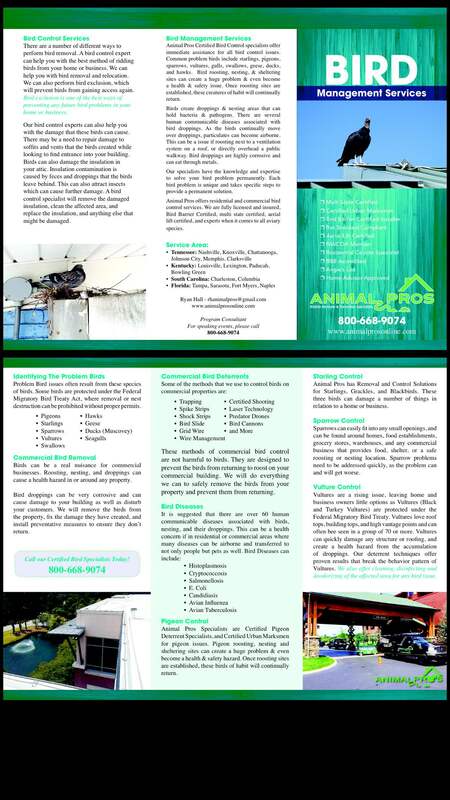 Animal Pros will take care of rodent control, bird control, bat removal, and dead animal removal and more using environmentally safe and effective methods. We understand the importance of taking care of an animal problem quickly so there’s minimal downtime. We’ll respond immediately and unobtrusively so business can be back to normal as soon as possible. In addition to removing the animals from the area, we handle clean-up, structural repairs, and odor control. Our animal pest management plans are specifically catered for commercial clients. 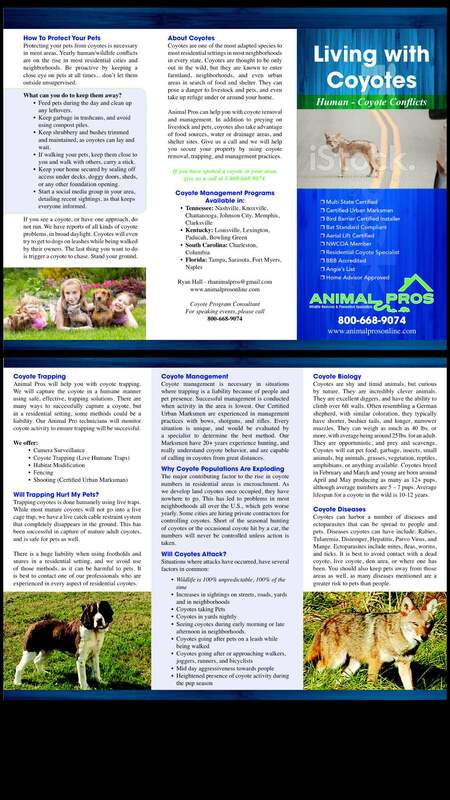 Contact a Animal Pros specialist today. Once animals get into your building they can cause extensive damage. 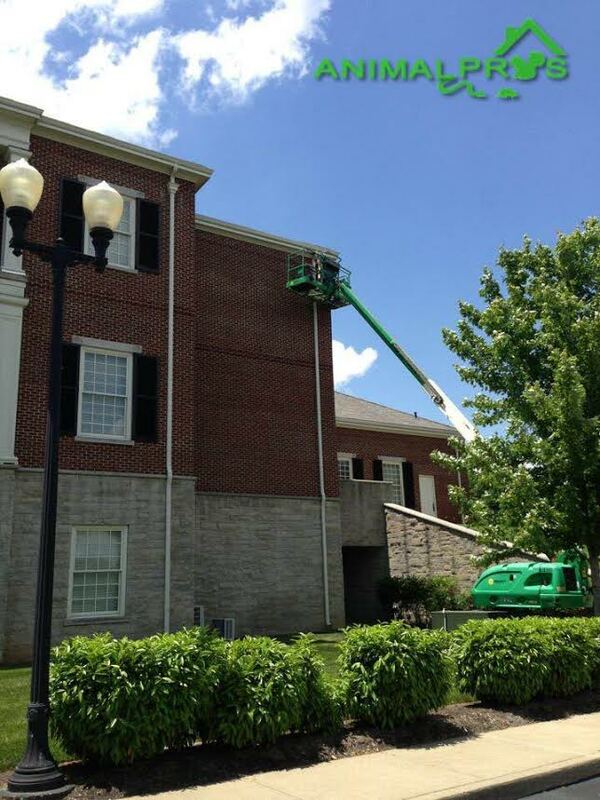 When you get birds in or on your building they will begin to cause damage as they build nests. They will leave droppings that can not only damage the building but will create a unsafe work environment. We can help you with commercial bird removal and bird exclusion as well as any other type animal or problem. Once an animal gets into your commercial property, they will begin to damage the building. Once we have removed the wildlife, we can help repair the commercial damage they created. 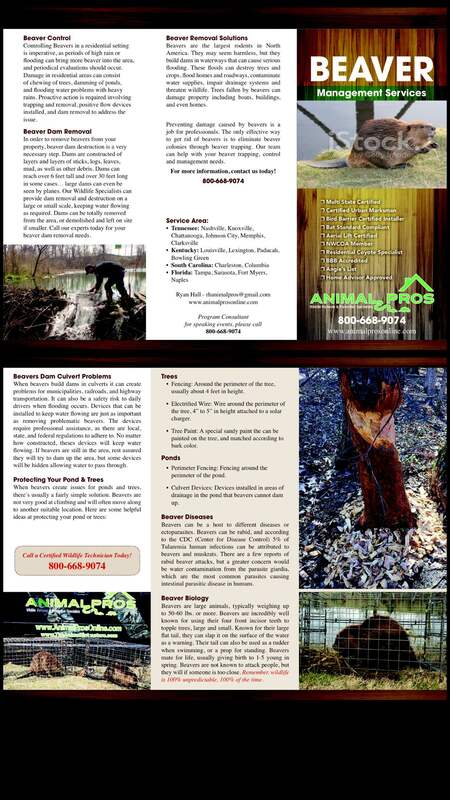 Animal Pros is accredited and state-certified. We have highly qualified professionals on hand to handle any number of animal control issues using humane capture-and-release and environmentally healthy methods to ensure there will be no problems.